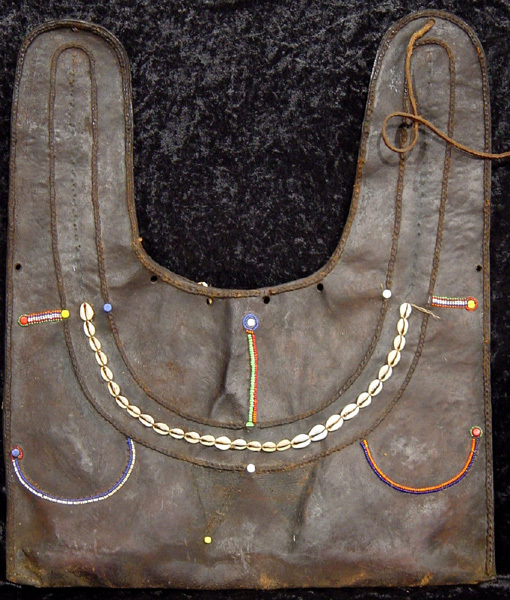 Maasai tribe Rare Maasai leather bag. Hand made using traditional tools and leather thread, decorated with beads & cowrie shells. Sometimes referred to as a "Donkey Bag"